Discus all the new Deadpool toys, shirts, and everything else. My Deadpool with taxi arrived from Target two days ago. Coming to GameStop in 2019. Any idea on who is the artist? So, do guest appearances count for statues? Sure but as with all Koto statues, I’ll wait until the price drops to about 50% off MSRP. They all start out way overpriced. That's fair. My LCS normally does them at a reasonable rate. I do like that the Deadpool is removable though. Was going to post this this morning, but my phone dislikes the forums. 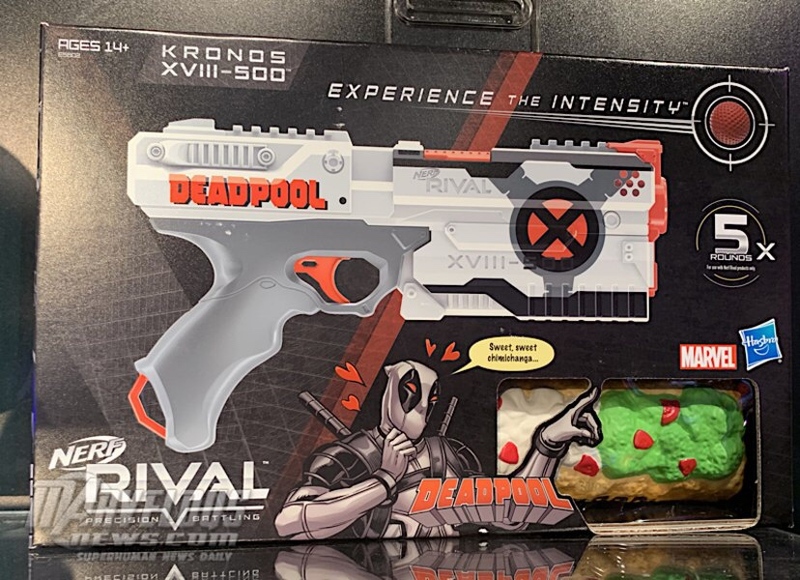 This month's Loot Crate DX (theme: ShowDown) is advertised as having a Deadpool bonus item. No clue what it is, and I'm too skint at the moment to take a punt on it myself, but figured you peeps would like to know. I’ll wait until whatever it is shows up on eBay to see if it’s something good. misterviking wrote: Was going to post this this morning, but my phone dislikes the forums. This month's Loot Crate DX (theme: ShowDown) is advertised as having a Deadpool bonus item. No clue what it is, and I'm too skint at the moment to take a punt on it myself, but figured you peeps would like to know. PoolFan wrote: I’ll wait until whatever it is shows up on eBay to see if it’s something good. As it's a "bonus item", I suspect it will be something that has already been in the Club Merc boxes. If anyone is interested, you can get 50% off using the code SPRING50 until 3/27. No good for the Club Merc boxes though. Reminder! Anyone who signed up for Club Merc from box one will need to cancel their subscription soon, unless they want it to roll over for another year. Any word on whether Club Merc Year 2 is going to be new merch or a repeat?